Introduced in 2001, the Persuasion Business Timer incorporates the original feature of a calendar positioned around the dial. This quartz movement powered timepiece comes in a round stainless steel case. 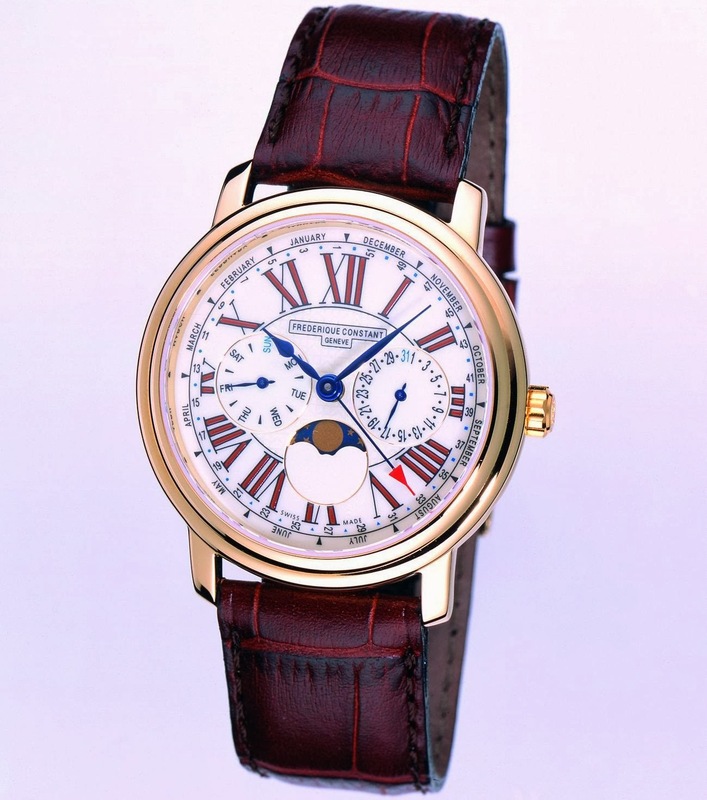 The white dial with “Persuasion” Roman numerals boasts day, date, month indications and moon phase. This is a luxurious, yet affordable timepiece offering useful indications for day to day activities.